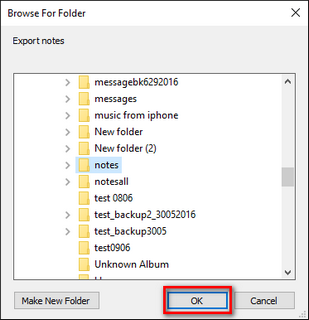 If you’ve recently left your job and your iPhone notes are “locked” to your old Microsoft Exchange account, this article will show you how to save your Exchange notes on your PC even if your work account is disabled. Install the program. If you need help installing CopyTrans Contacts, please refer to this article on how to install CopyTrans programs. Run CopyTrans Contacts and connect your iPhone. Wait until all your iPhone data finishes loading. 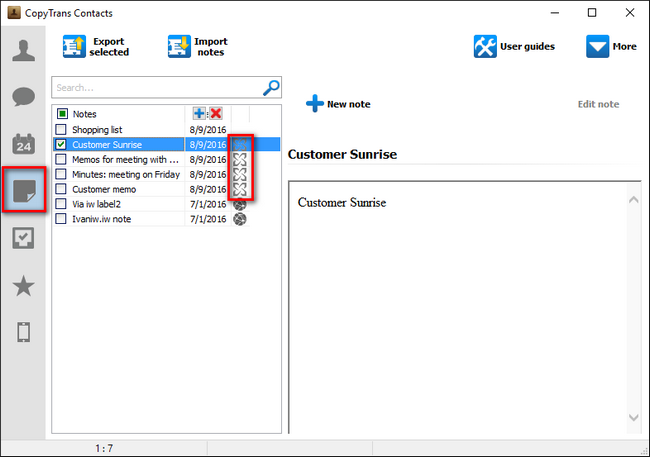 You will see your Exchange notes appearing with a small cross next to each listed entry. 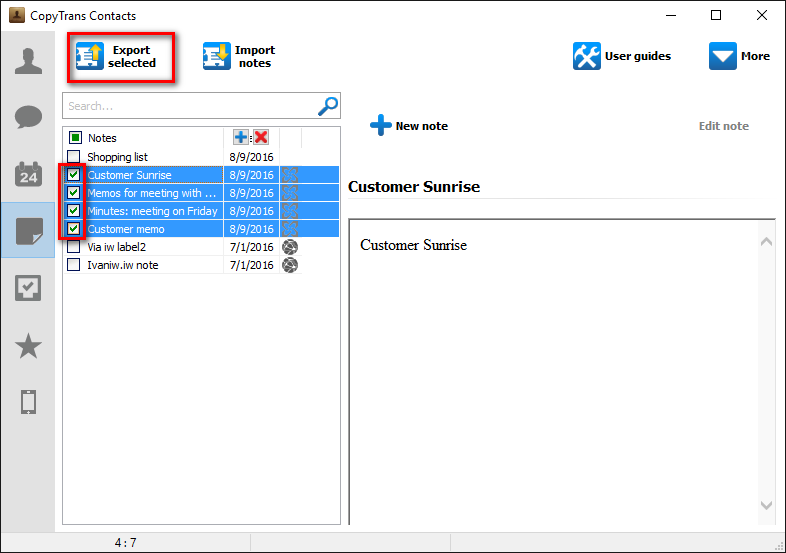 Select your Exchange notes by checking the box next to each entry. 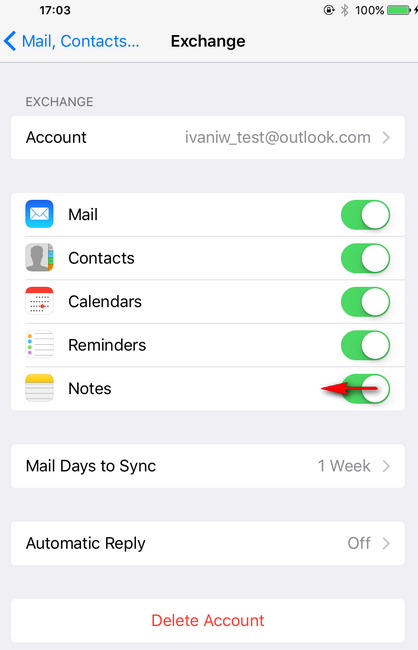 If all of your iPhone notes are sourced from Exchange, select them all by checking the box next to “Notes”. Next, click on the “Export selected” button. New window will appear, click “To a file (all note formats)”. 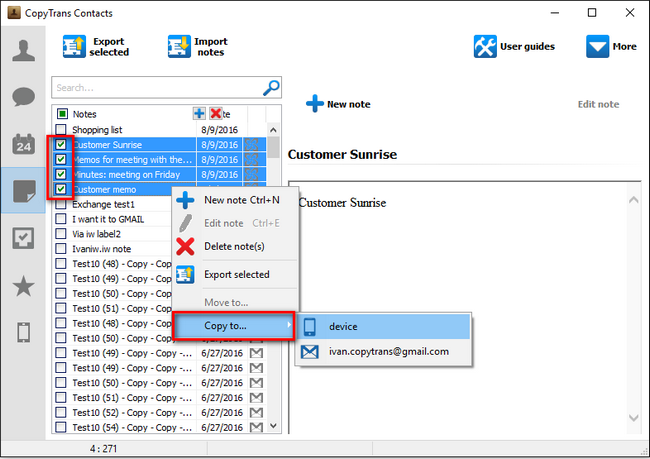 Select the location on your PC where you want your iPhone notes to be exported. 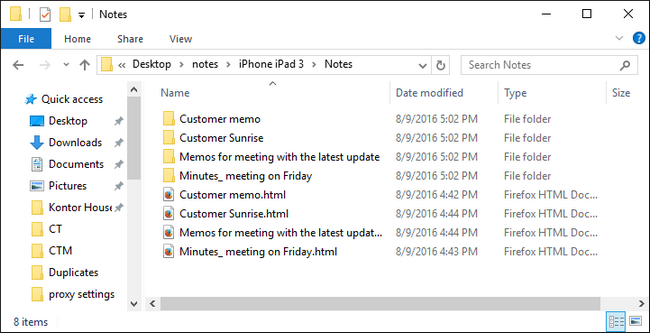 Your selected iPhone notes are now saved to your PC in HTML format. Now disconnect your iPhone and close CopyTrans Contacts. You can now disable your Exchange account on your iPhone without worrying about losing your Exchange notes.